Hey, want some news about the Harry Potter spinoff films? Here ya go! At a slow but steady pace, the much-talked about Harry Potter spinoff film Fantastic Beasts and Where to Find Them is coming together. We know that David Yates is directing from a script written by JK Rowling herself. We also know that this will be a trilogy at the very least, with the possibility of more films. The most recent news concerns casting of the film’s “magizoologist,” Newt Scamander. The lead contender for this role is none other than the prolific Matt Smith of Dr Who fame. Smith has a great deal on his plate right now, what with a role in the Terminator Genysis franchise…more like Dr.Who’s in everything, am I right? 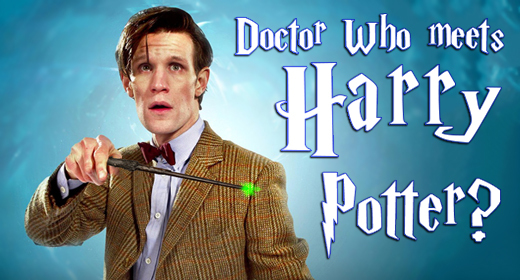 Anyhow – we know Smith can absolutely do eccentric, so he should be a good fit for the Harry Potter Universe. What do you guys think? Is there no such thing as too much Matt Smith? Are bow ties still cool? Give us your thoughts in the comments. Have you heard the latest episode of the JustUs Geeks podcast? Listen to the episode here! Episode 86: Thor, Horse Armor, and Happy Birthday, Carter! Kristen Lee Garrett liked this on Facebook. Lucy Blair liked this on Facebook.